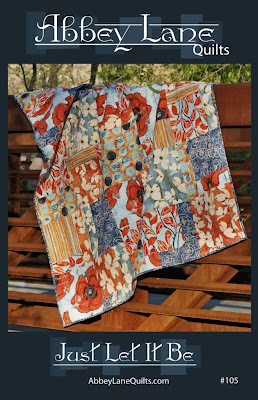 It is so exciting when we get emails of pictures of your finished projects made with our patterns. The creativity is amazing. First quilt in point. The pattern, Just Let it Be. It was one of our very first patterns and we have loved it so much we have remade it three times to show you all the options. 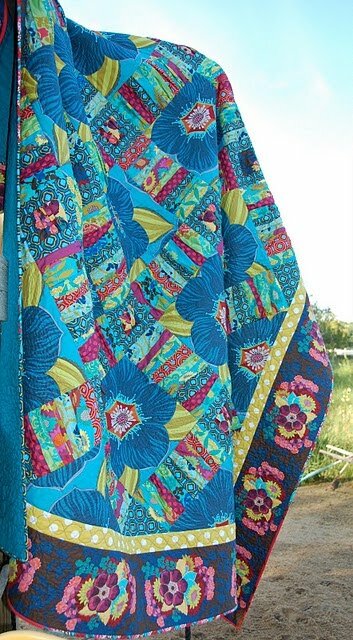 The first version uses a focal fabric and then six other fabrics that coordinate with the focal fabric. You can use fabrics from any line, mix and match them. 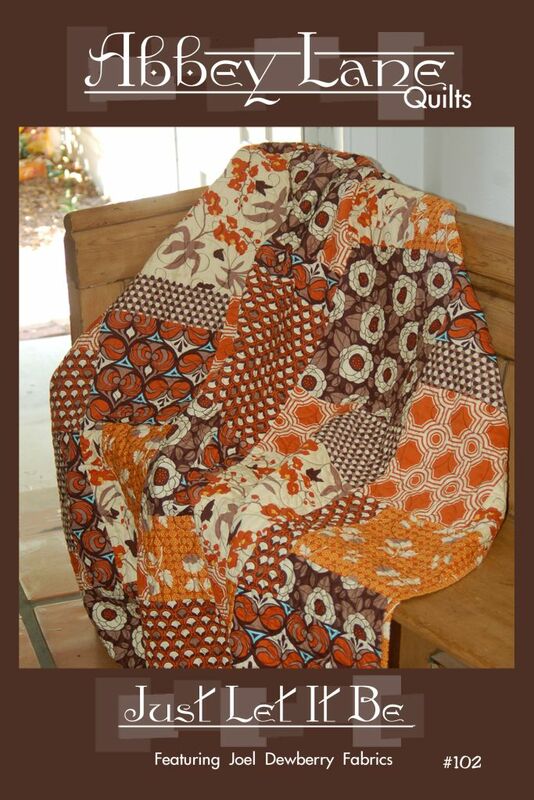 The Second version we made used fabrics from Joel Dewberry. This is probably one of my all time favorites. Whenever we have a new quilt, Janice and I go through a tug and pull. Sometimes it is a quilt that Janice loves and sometimes it is one I love. The problem comes in when we BOTH love the quilt. Well, this Just Let It Be, I LOVE. 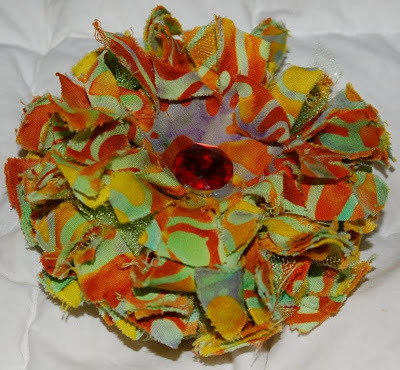 For our latest version of Just Let It Be, we used Laura Gunn's "Poppy" collection. It is the most beautiful quilt ever. We hung it at spring market. By the way, Janice wants this one, and when Janice wants something, I just get out of the way. We both adore Laura Gunn's fabrics. Check out her blog, http://lauragunn.typepad.com/ when you get a chance. 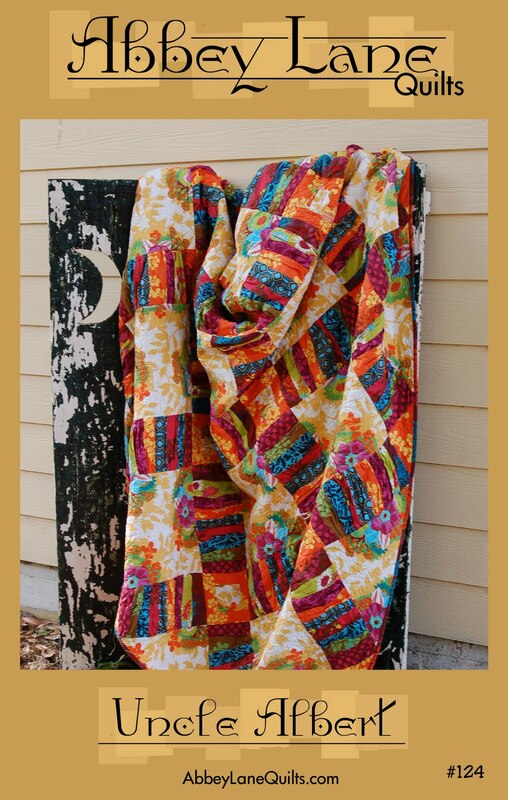 There is a funny story behind this quilt's name. We had all the squares up on a board, and we kept moving things around. A change here and there. However, after the original design, I didn't like the changes, and I finally said to Janice "JUST LET IT BE", and the quilt was named. 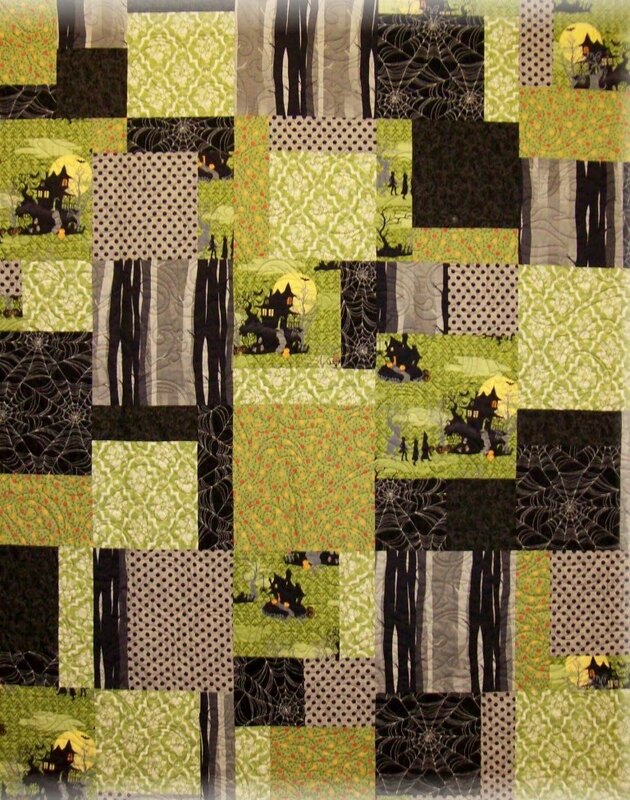 We recently got an email from TWO THIMBLES QUILT SHOP in Bellingham, WA. Here is their website, http://www.twothimbles.com/. They made up the Just Let It Be pattern in Halloween Fabrics. Check their blog for more pictures http://twothimbles.blogspot.com/. They called it HAUNTED MANSION, and I can't wait to get my hands on Sanae's Haunted Mansion collection from Moda. I see another JUST LET IT BE version on the way. Thanks again for sharing. The second email we received was from SK Burton from Country Fabrics and Quilting in Brainerd, MN. She wrote, "I wanted to share with you my Uncle Albert Quilt that I absolutely LOVE. I saw your version at spring market and needed to make one of my own. The rouching was just too cool! I've been blogging my process for weeks, I just cant get enough of this amazing quilt. Thank you for such a great design! 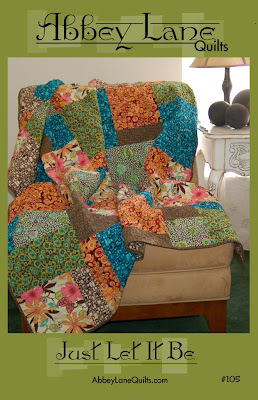 I have a few of your other quilt patterns in the works as well, they too will be great, I can't wait!" Here are her pics. I absolutely love it. She added the border too. To see more, here is her blog, http://www.sewwithsass.blogspot.com/. We love to see the creativity that goes into our patterns. UNCLE ALBERT is one of my very favorite of all times. Again, thanks to all who share their treasures with us. And if you have made an Abbey Lane pattern, send us the pics, you may find yourself right here on this blog. Have a great week. I love Disney. Spending 23 years in Orlando could have helped a little bit. My mother was a school teacher and she quoted Walt Disney all the time, "If you can dream it, you can do it." It was her motto. It is my motto. 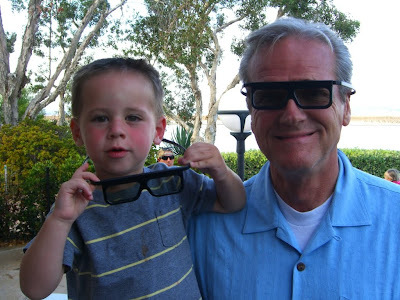 Last week I got to take my grandson to Disneyland. So much fun. 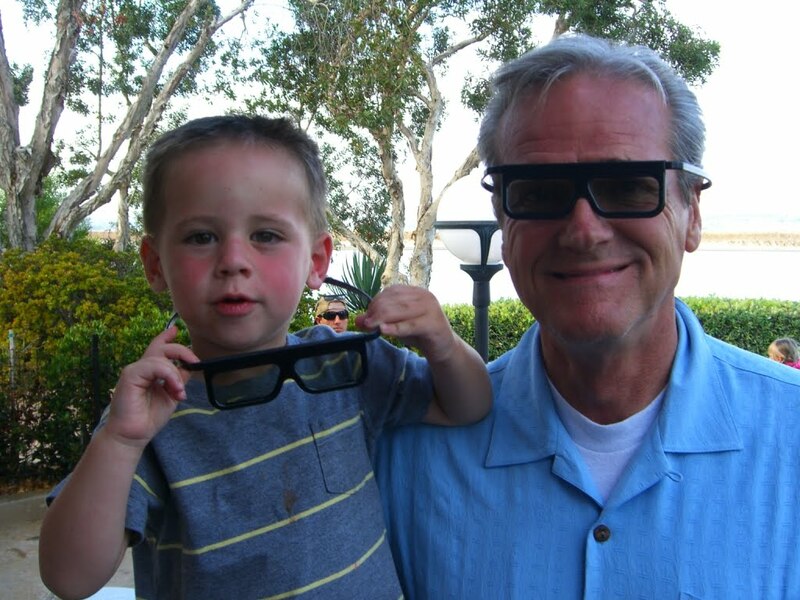 Here he is with grandpa. I received my Blooming Possibilities yesterday and made these flowers last night. One for my new purse, a key chain (double sided so there's no 'back side') and two fluffy ones that perched nicely on cones of thread to dry. They will go on my boring sun hat. Lots more to do. Fun stuff! Thanks fo much Rosalyn for sharing. I can't wait to make some key chains. What a great idea. 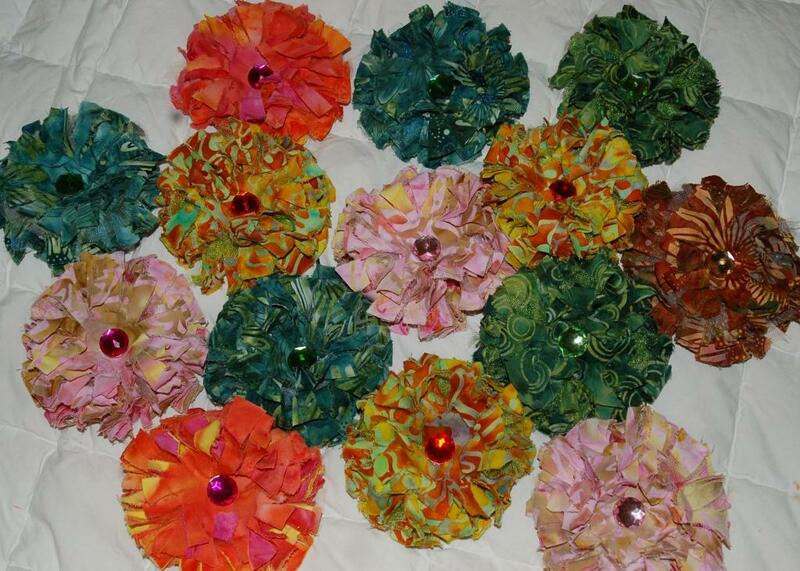 I made a few flowers also this week. 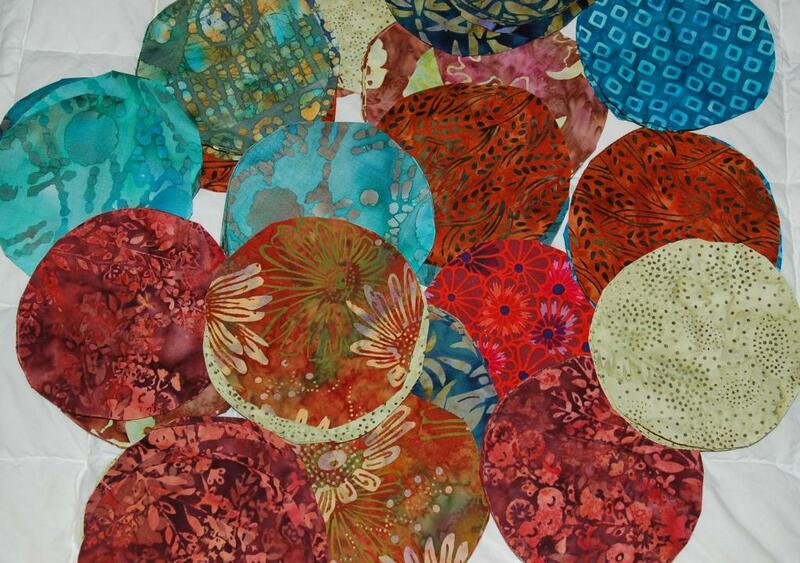 I started with a bunch of fabric circles. Here is the cute pile of fluffy flower balls straight out of the dryer. Aren't they cute. Here they are all fixed and jewelled up. And finally, a close-up of my favorite of the bunch. 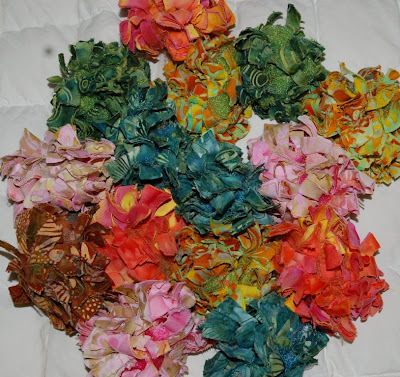 Some of these flowers were sent to our giveaway winners. You will be getting a box in the mail any day. We hope you enjoy. So let your imagination and creativity blossom, and remember, "IF YOU CAN DREAM IT, YOU CAN DO IT!.